Join your colleagues in this collection of talks for a demonstration and Q&A with Sarah Weaver, MPH who will showcase a hybrid/blended program model, the Duke - Johnson & Johnson Nurse Leadership Program. Sarah will discuss approach, instructional design, technologies used, and program evaluation. You'll learn techniques you can apply to your own program model. Next, Elise Mueller, PhD, will discuss PebblePad for Online Learning, Duke's central ePortfolio tool, showcasing examples of how students/faculty can use the tool in their online programs, followed by Jolie Tingen, who gives a brief update on Sakai 12. 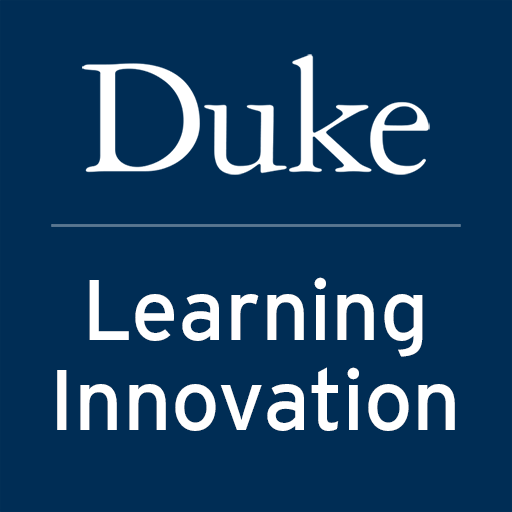 The agenda includes a discussion and open Q&A with Kevin Ragusa, Market Research Analyst for Duke Learning Innovation. Leveraging business analytics along with data on regional, national and international markets, Kevin researches the potential for new educational programs.This presentation is part of the Duke Distance Education group, open to all in the Duke community with an interest in online teaching and learning. Join us!